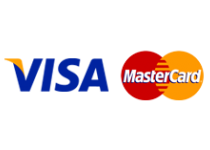 When you make a payment from our site, you will be redirected to the PayFast secure payment gateway for South Africa where you can pay with Visa or Mastercard, or via direct EFT from the four major South African banks. We don’t see or have access to your credit card or banking details. If you don’t have a PayFast account, you will be asked to register. This is very quick and simply requires your name and email address. Once you have completed your transaction, you will be transferred back to our site.